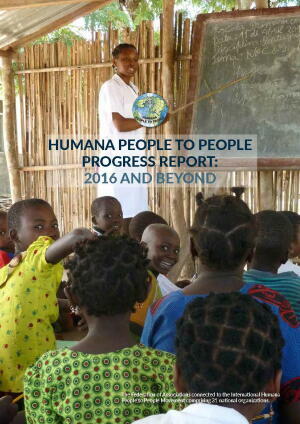 Humana People to People Releases 2016 Progress Report - Planet Aid, Inc. The Humana People to People Federation recently released: Humana People to People Progress Report: 2016 and Beyond. The report highlights the work of the 31-member network of nongovernmental development organizations (Planet Aid is among this membership). The report emphasizes the importance of the UN Sustainable Development Goals and how the membership is working to help achieve the aims of these targets. Progress and lessons learned are examined in four areas: education, health, community development, and environmental and sustainable agriculture. To obtain a copy of the report, visit the Humana People to People website.